In 2004, when Carol and Tony Anello opened their dream retirement business in Bodega Bay, they had no idea Spud Point Crab Co. would become a Sonoma County staple, attracting tourists and locals to their front yard year-round. What was intended to be a small, home-based roadside operation escalated into a 16-hour-a-day labor of love making lots of New England clam chowder. Carol developed the recipe the way she likes it: thick and rich with butter and cream, and balanced flavors of clams and garlic. Carol is passionate about the quality of her chowder, and she adjusts the recipe throughout the year in accordance with the strength of the garlic. Spud Point's chowder has become so popular the restaurant recently added a small outbuilding Carol calls "the chowder line." The facility has not only met Spud Point's growing need to fill chowder orders faster than food orders, it also gives Carol the chance to do what she enjoys most: connecting with customers. Despite its reputation for clam chowder, Spud Point Crab Co. has more to offer than just soup. As the name suggests, it also offers fresh, whole crab caught with the company's three fishing boats. When it comes to Spud Point's crab, the words "fresh" and "local" are highlighted by the fact that you can actually see the fleet in the marina from your seat on the outdoor patio. Of course, crab isn't available until the state declares high levels of domoic acid levels in Dungeness crab have dropped. On Jan. 30, Spud Point will join other local restaurants in a friendly competition for a good cause. The 13th annual Chowder Day in Bodega Bay pits local chowders against each other and raises money for the Bodega Bay fireworks. For $10, participants get a ticket that serves as ballot and map. The map will leads chowder lovers all over Bodega Bay for the tasting. 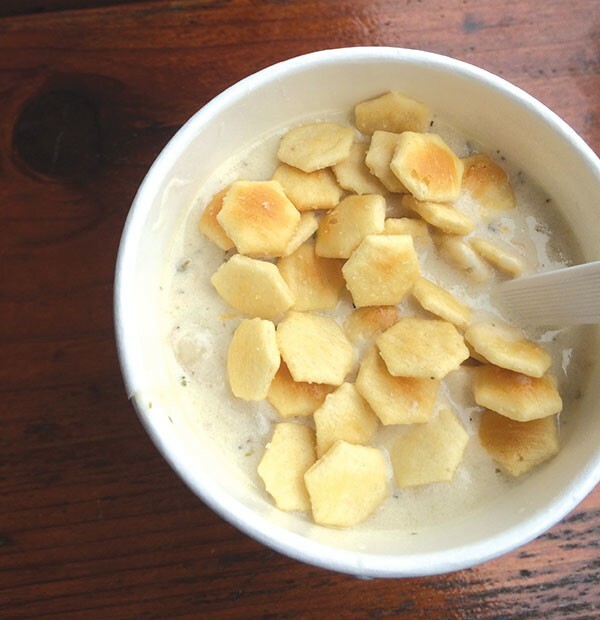 Spud Point's clam chowder has won first place in the people's choice category for the past 11 years. Spud Point Crab Co., 1910 Westshore Road, Bodega Bay, 707.875.9472. Go to visitbodegabayca.com for tickets and more information about Chowder Day.